Ibanez hasn’t spent the last year laying down on the job by any means. 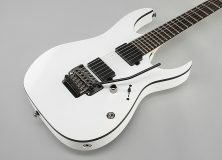 The entire staff has locked themselves away in their laboratory seeking out a way to make the definitive metal guitar. 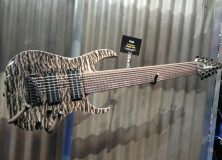 By the powers of extensive genetic splicing they manually extracted DNA molecules from their RG guitars and their S Series guitars, spliced the genetic material, and bred a whole new beast in a petri dish. This new beast came to be known as the Iron Label Series and it comes in a several different flavors. All of these flavors can be narrowed down to two specific categories. RG Iron Label and Iron Label S.
The RG Iron Label is modeled after the, you’ve guessed it, RG. Its design is simplistic in that it has everything you need and it cuts out the fat that you don’t need. 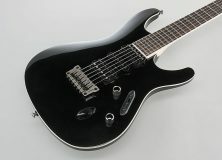 That includes the Nitro Wizard neck Ibanez spent years developing a to offer the most durable and fastest neck to date. The Nitro Wizard is a 3-piece neck built out of maple and bubinga and is supermodel thin only without the eating disorder. The basswood body is locked and loaded with a set of EMG Active Pro humbuckers with high output, a thick and juicy tone, and sustain that lasts longer than any given Yes song. The installed kill switch gives the guitar a strobe effect that is a button press away. 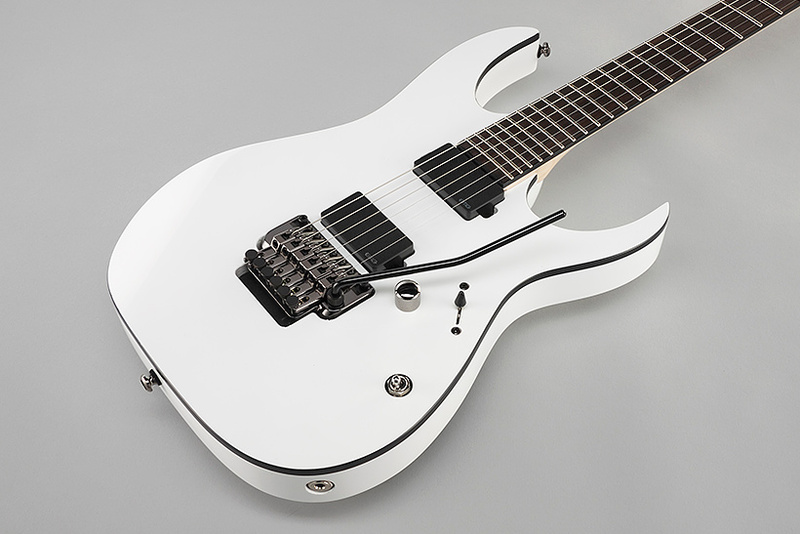 Some of the variations in models include the choice between the low profile Edge Zero II tremolo and a Gibraltar fixed bridge and 6, 7, and 8-string models. The Iron Label S demonstrates its class with a gracefully sculpted lightweight mahogany body designed in the image of the S Series. The Nitro Wizard neck’s thin profile makes like a catwalk for your fingers to strut their stuff up and down from slower tempos up to the high speed shreds without any design inhibitions. Between the mahogany body and the maple / bubinga neck and the American-made DiMarzio Pro Spec pickups the Iron Label S can sustain a note like you have an E-Bow. The guitar produces a hot tone without any mud and comes with a Gibralter fixed bridge that sets at a low profile. This model is available in 6 and 7 strings. 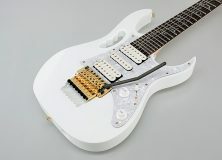 Steve Vai’s famous Jem model has made a jump to a 7-string model this year. The design is almost completely the same as previous models with a white finish over an alder body with a maple neck and a rosewood fretboard that showcases the vine inlays. 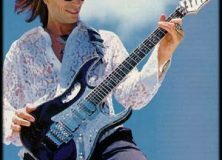 While they haven’t specifically defined a model of pickups following Steve Vai’s track record it’s safe to assume it’s loaded with DiMarzios. The 7-string Edge tremolo and the rest of the hardware are shown off beautifully with gold plating. 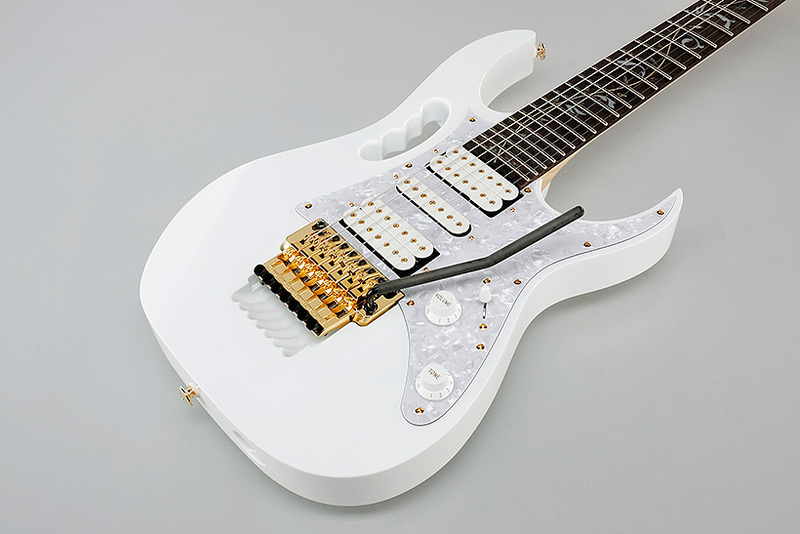 It shares obvious similarities with the Ibanez Universe that Vai had also made famous. And finally Ibanez’s thickest beast this year is the introduction of the RG9. 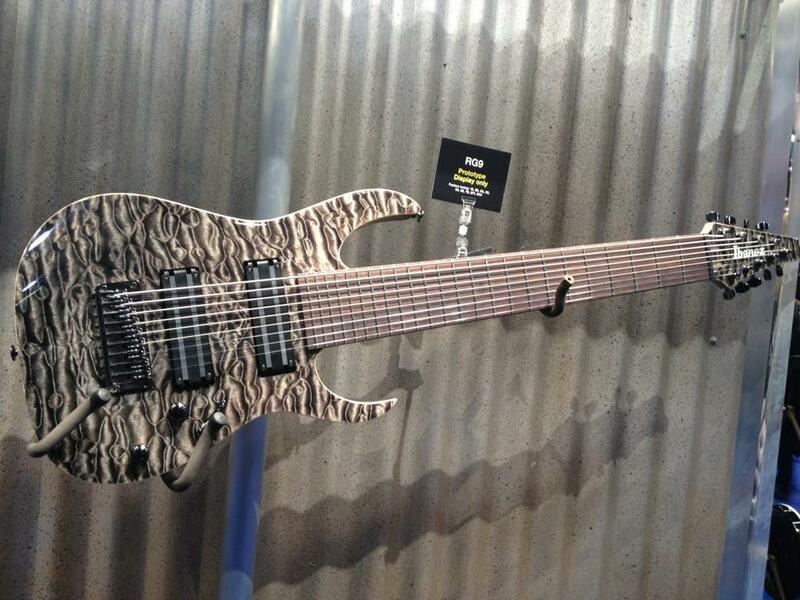 This 9-string behemoth still remains mostly a mystery in design. Ibanez hasn’t spoken much regarding the woods used, the pickups, the hardware, or what Tony MacAlpine plans on doing when he gets his magic fingers on this plank. Regardless it’s a beast for sure and with guitars like these who needs bassists? Check out more of our awesome NAMM coverage right here, right now. It’s every bit as awesome as these guitars. ← NAMM2013: What’s So Cool About Orange’s New Valve Tester?